The subject of this Colonial American health insurance company review is the Colonial American Casualty and Surety Company based in Maryland. They should not be confused with American Colonial, a now defunct insurance provider purchased by EICA some years ago. American Colonial had no assets, business structure, or policies in force at the time they were acquired. As for Colonial American Casualty and Surety, it operates in North America as a subsidiary of Zürich International. Get instant access to online health insurance rates by entering your zip code now. Colonial American, along with all of the other American subsidiaries of Zürich International, offer literally dozens of different insurance products at the consumer, commercial, and reinsurance levels. From their offices in Owings Mills, Maryland, Colonial American does business in 49 states and the District of Columbia. The only state where they are not licensed is New Hampshire. In terms of their health insurance, Zürich International and Colonial American Casualty and Surety both provide coverage in two ways. First is through policies for individual employees based on group plans offered to employers. The second, which makes up the bulk of the healthcare insurance, is through reinsurance of smaller providers. As a side note, the companies also insure healthcare providers and facilities. The nature of Colonial American’s business dictates that they probably utilize some local agents for some of the products they carry. Their health insurance is more than likely sold and serviced on a direct-to-customer basis while their life, home, and other types of policies could be handled through local agents. Because Zürich International also deals in specific investment vehicles, it would not be abnormal for your local bank or financial planner to act as a local agent. Unfortunately, the Zürich International website does not provide a means to locate local agents in your area. Consumers who might be interested in Zürich or Colonial American products, other than health insurance, would have to either contact the offices listed above or call individual insurance agents and ask who they represent. Just to make your life easier we would recommend the former option rather than the latter. In its healthcare coverage alone, Colonial American and Zürich International provide both retail products and reinsurance products. However, the reinsurance portion of their business is significantly larger than the retail, so it’s a bit difficult to determine how their retail claims process works. We can say that the company website states they employ more than 3,000 claims specialists with an average of 10 to 15 years of related experience. Colonial America and Zürich International pride themselves in their quality of customer service. A visit to the corporate website shows that they have gone out of her way to provide as much information as possible for their customers. They provide toll-free numbers and other contact information to facilitate the claims process as quickly and efficiently as possible. At the retail level, we can only assume that Colonial American operates on a third-party billing basis. The most recent ratings for Colonial American’s financial strength come by way of an A.M. Best upgrade from November 2010. At that time, A.M. Best upgraded the company’s rating to “A+” superior. This very strong rating indicates that Colonial America has plenty of assets to meet short-term obligations and most claims that could be filed in the near future. Their accompanying stable outlook gives a pretty good indication that long-term obligations are also sufficiently funded. A.M. Best beliefs that Colonial American is on good ground for the present and well positioned for future growth. Beyond the A.M. Best ratings, Zürich International enjoys a reputation within the industry as being a top-notch insurance provider. 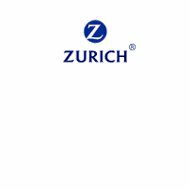 As a global leader in financial services and insurance, Zürich International and its subsidiaries provide quality products and services that affect millions of lives worldwide. Simply based on international reputation alone, you could certainly do worse than Zürich International and its global partners. For the latest health insurance rates in your area, simply type in your zip code using our free search tool below.